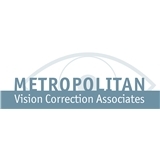 Metropolitan Vision Correction Associates (New York) - Book Appointment Online! Since 1978, we have been the premier vision solution center in New York City. Our private office offers state of the art technology, comprehensive eye examinations, specialty contact lens fittings, dry eye treatment, pre & post-operative surgical care including LASIK, Cataracts, Glaucoma and Cornea. The Doctors and Staff at Metropolitan Vision take pride in providing the highest level of eye care. We spend the necessary time to diagnose visual and medical eye disorders that may otherwise go undetected. We combine tradition with technology to offer you the best experience. We thank you for trusting us with all your eye care needs. Very impressed with Dr. Behan and his front office staff. Folks at the front desk were genial, courteous and professional. Insurance and copay information were explained in detail. I saw Dr. Behan within 15 min of arrival. Talk about a welcome shock! The Doc provided a thorough examination. Confidence and Clarity were the name of the game. I think I've found my new eye doc! Wonderful doctor. Helped me sort through some common eye myths. Honest, kind, and efficient - the doctor trifecta.